We are often asked if a condo or homeowners association is required to obtain FHA certification. And unless the CC&Rs make such a requirement (most do not), we generally respond with a resounding “NO!” But what has not been considered, at least until now, is whether a community association is required to even consider the matter. The answer is maybe. 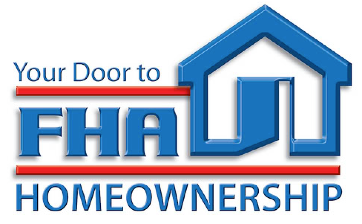 Some may be asking what the heck “FHA certification” means. In 2010, the Federal Housing Association (FHA) stopped giving spot loan approval and has been requiring that condominium developments themselves become approved if the FHA is to provide mortgage insurance within the development. The FHA, a government-owned loan/mortgage insurer, does not loan money; it insures loans made for buyers who cannot afford a conventional down payment. FHA insured loans now account for more than half of all new home loans. With an FHA insured loan, buyers can purchase a condo unit with a lower down payment (3.5% of the purchase price vs. 20% for conventional loans), lower closing costs, easier credit qualifying, with loans up to $625,500 (depending on the county where the unit is located). So FHA insured loans appeal to lower income buyers. FHA certification is applicable to condominium projects, not planned developments. To qualify for an FHA insured loan, the condominium that the buyer wants must be in a common interest development that has been “certified” by the FHA. Certification of the condo development means the association meets certain guidelines established by the FHA. These guidelines have been implemented in the belief that they will reduce the risk of default on home loans insured by the FHA in that condo development. Once the association has been certified, buyers of condominiums in the development can apply for FHA insured loans if they can qualify for same. And if a condominium association has not been certified, a buyer cannot get an FHA insured loan for the purchase of a condo at that association. Many associations do not want to bother with all the red tape associated with FHA certification; some do not want to have to do the work required for FHA certification. And many condo associations do not bother to address the issue at a board meeting and record the board’s decision and the reasons for their decision in their minutes. The problem with this is that the decision to do nothing is different then actually doing nothing. And doing nothing may come back to haunt an association. We were alerted to a recent case that dealt with these issues out of Ohio (yes, they have homeowners associations in Ohio). Apparently, the Ohio condominium association’s FHA certification had expired. That association’s board elected not to seek recertification. Later, when a single mother with a child attempted to purchase a unit in that association using FHA financing, she learned that the association was not FHA certified and she was precluded from obtaining that type of financing, which meant that she could not buy a unit in the association. She asked the board at that Ohio association to seek recertification (we would not have advised our client to even speak to a potential buyer, but we are not in Ohio), but the board at the Ohio condominium association refused. As a consequence, she was unable to purchase the condominium, as she needed an FHA loan to buy a condo. Feeling that the board’s decision was motivated by discrimination (we assume her claim was that they did not want poor people), she then filed a complaint against that condominium association with the Ohio Civil Rights Commission. That Commission filed a lawsuit against the condominium association, and the dispute has been placed initially in the “investigative” stage, so there has been no decision. While there is no decision in that Ohio case, what we can learn from that case is that boards at condominium associations should make sure to actually have, as an agenda item, consideration to pursue FHA certification, and that any decision by the board not to seek certification be based upon non-discriminatory, reasonable and good faith factors. For example, a board’s decision against seeking certification could very easily be based upon a good faith belief that the association is not eligible for FHA certification and there is no practical reason for the association to incur the expense, and waste time and resources, in an effort to meet certification criteria, or because the application will most likely be rejected. More importantly, what this Ohio case tells us is that community associations must be vigilant in keeping records and minutes of decisions. An association that has no minutes, memos or other evidence that it considered certification, but elected not to seek certification, in good faith, may have trouble avoiding a civil rights-related inquiry/claim of discrimination.